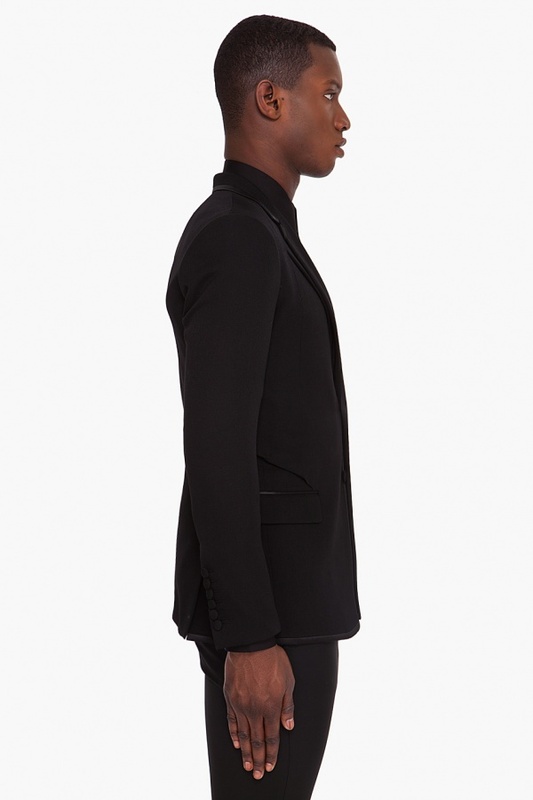 Stay fashionable in this side cut black blazer from Givenchy. 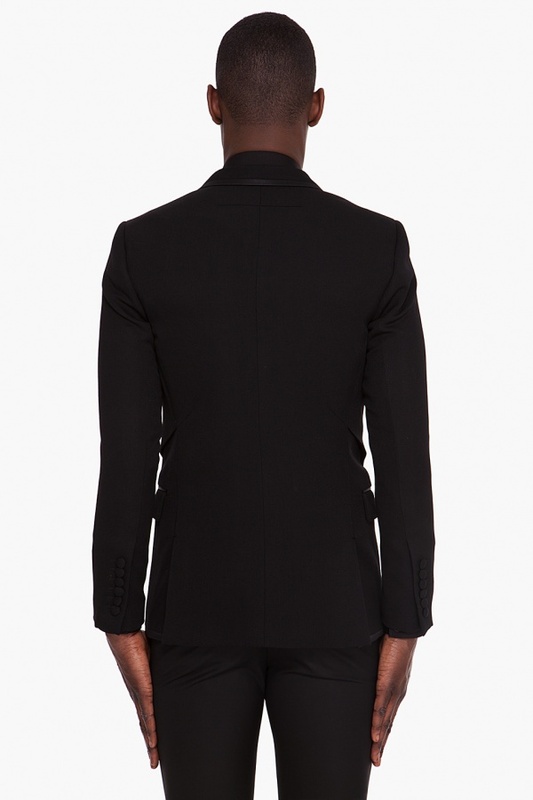 A slim black blazer with unique double lapel design, with notched lapels and two buttons, this piece also features shank buttons and a nice trim making it perfect for black tie events. 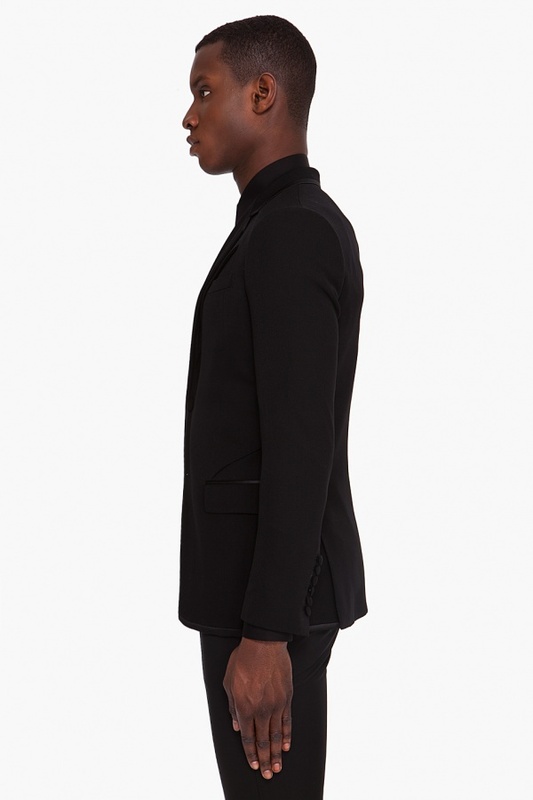 Made of a nice black wool, and available online now. 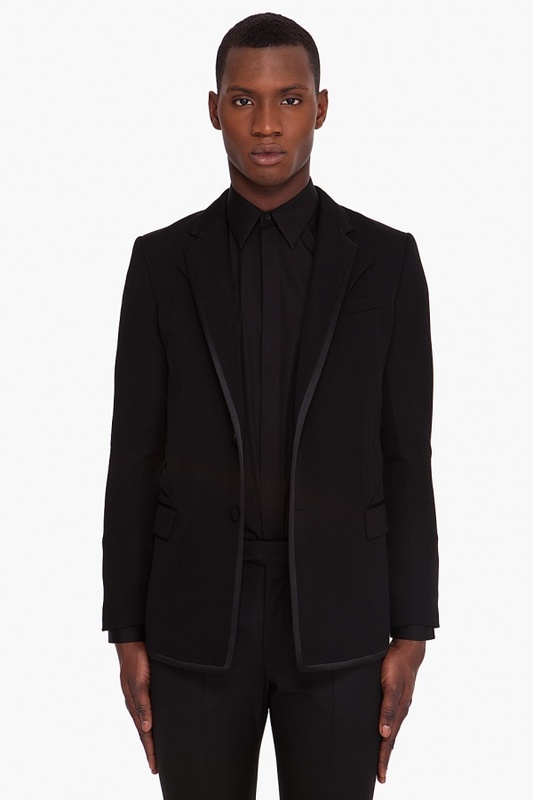 This entry was posted in Black Tie, Blazers, Tops and tagged Black. Bookmark the permalink.